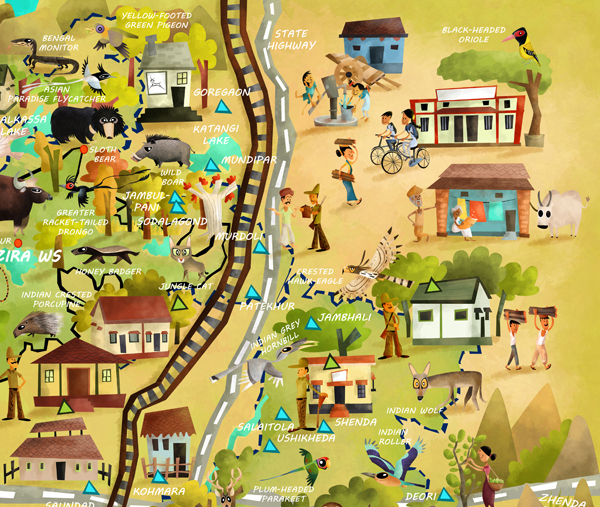 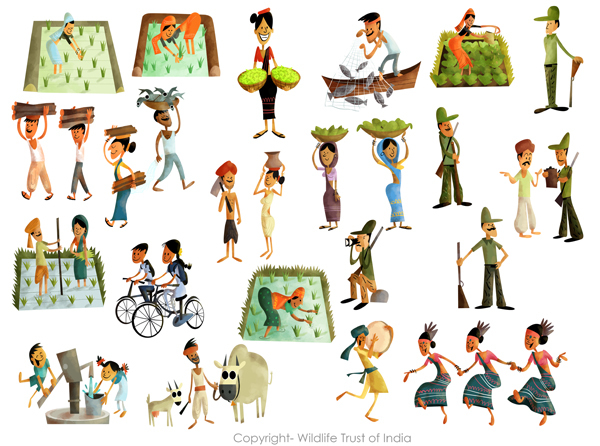 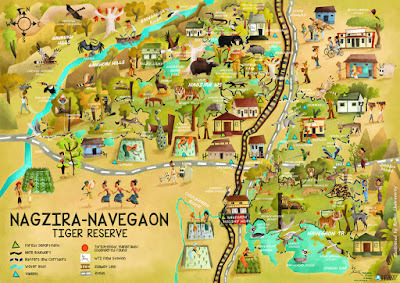 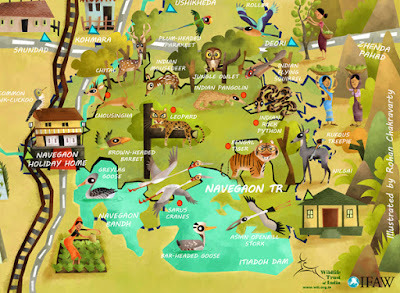 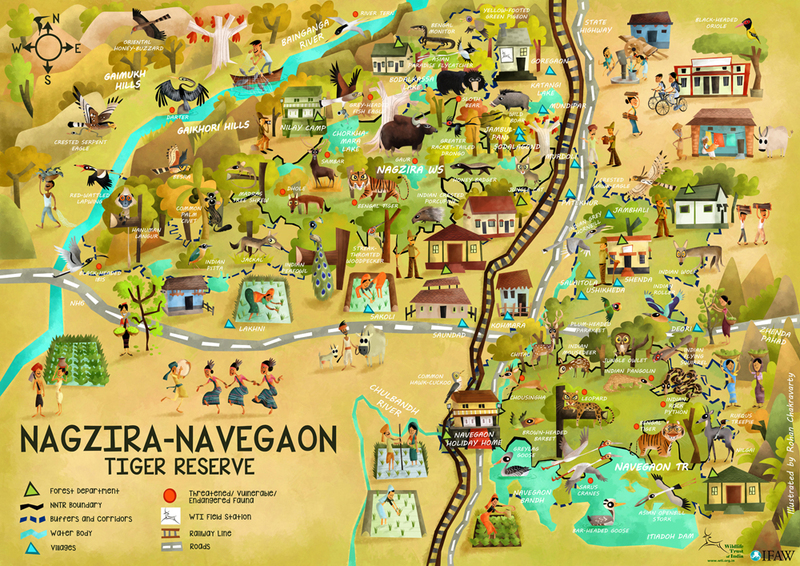 Last year when the Wildlife Trust of India commissioned me to illustrate a map of Nagzira Navegaon Tiger Reserve, things came around full circle for me, as it was this very place that inspired me to start drawing cartoons on wildlife! 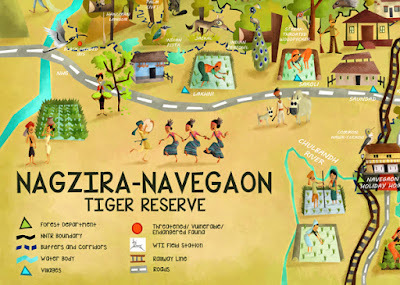 Situated in the Gondia district of Maharashtra, and a little over 150 km from my hometown, Nagpur, Nagzira-Navegaon, not only boasts of some of the country's most sought-after fauna, but is also regarded as one of the most scenic landscapes is Central India. 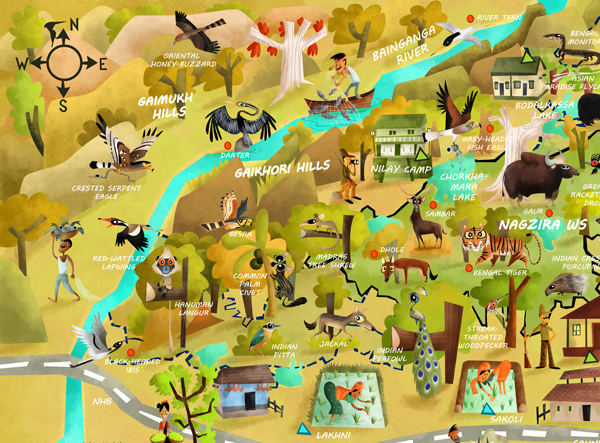 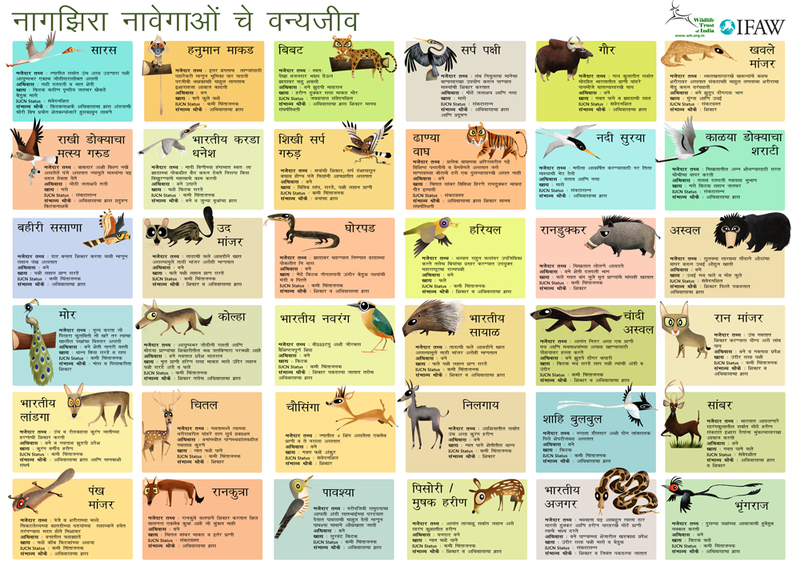 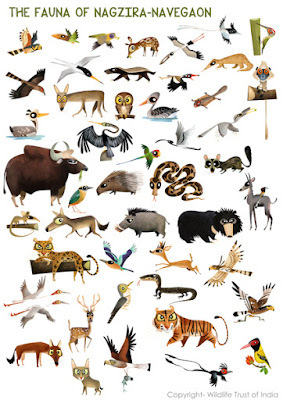 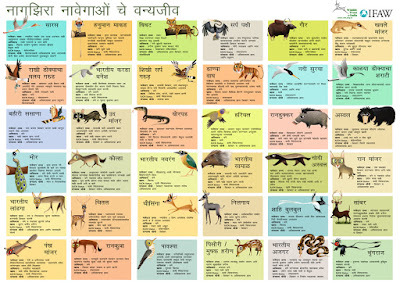 The map was drawn with a focus on endangered and threatened fauna, as well as the lifestyle of the Gondi tribal people, who inhabit the areas around the reserve and whose lives revolve intricately around the region's wildlife. Intended for rural awareness, the map has also been translated to Marathi and is being displayed at various sites within the reserve for tourists as well as locals. A big thanks to the WTI and IFAW for commissioning this assignment!